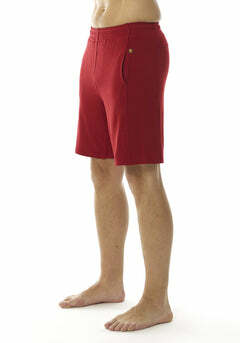 This incredible durable, soft and stretchable short is made from our organic cotton and bamboo fibers. The relaxed cut provides a more loose design for those that like to have more freedom when running, working out or hanging out at the beach or home. The trims are strengthened with our lightweight organic woven poplin, whilst giving the short more style. There's a hidden pocket at front waist and side pockets, all mesh lined. The cotton braided draw chord at waist and ribbed waist band provides additional comfort and support.